your USB stick into that. If you don’t have a blue colored USB slot, it’s OK, this will work with normal colored ones as well. Open the ‘This PC’ in file explorer. You do this by pressing on the windows button on your keyboard, and then clicking the option labeled File Explorer. (It may bring up the Quick Access menu, and if it does this just select This PC on the side bar of the File Explorer you have open). The next step is to locate the specific USB drive. Now that we have the ‘This PC’ section open, there should be a section labeled Devices and Drivers. Underneath the section labeled Devices and Drivers should be your USB drive. The drive should be labeled like this: USB (Letter here:). Take note of the letter after the USB title, as we will need that later. Ensure that you have space on the drive. Underneath the section that is labeled USB (Letter here:) should be a line that says X.00 GB free of X.00 GB. If it displays that there is no free space left on the drive, you will not be able to continue. Consider deleting files on the drive. Prepare the music you wish to move one the USB stick. By default, any files downloaded off of the internet will automatically be placed into the folder labeled Downloads. If you are unsure of where the MP3 file is stored on your computer, you can search all MP3 files by pressing the windows key and simply typing “MP3”. Copy the selected MP3s. Once you have located and arranged all of the MP3s that you wish to move onto you USB stick, you will need to copy the files. To do this you need to select the files you would like, and then right click on top of them. This will bring up a small menu, and on this menu will be the option to Copy the requested files. This will be located just underneath the cut option, mid-way through the selection menu. 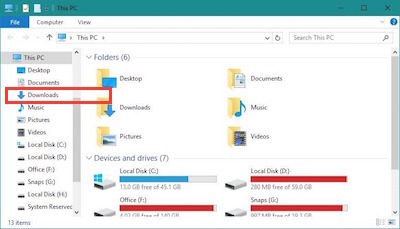 Go back to the ‘This PC’ file explorer. The next step to go back to the This PC section, so that you will be able to move the files. 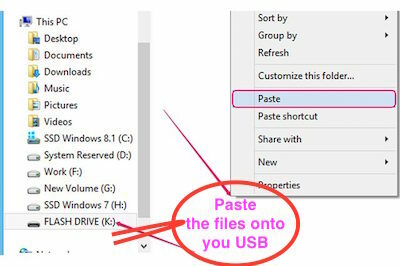 To do this, you can press the windows button on your keyboard, and then click the option labeled File Explorer. This is a repeat of the second step. click on the option that says Paste. This will make a copy of your files. Once it has finished making a copy of the MP3 files, you can safely eject your USB stick. media from your USB stick!